The Music Modernization Act, legislation that will transform the music licensing framework in the United States, was signed into law by President Donald Trump during a ceremony at the White House on 11 October that included several artists such as Sam Moore from Sam & Dave, Kid Rock, Mike Love of the Beach Boys and Jeff Baxter of the Doobie Brothers and Steely Dan, among others. The White House ceremony closes a sequence that started some four years ago and opens a new one which will see the various stakeholders and legislators work on implementation of the law. The Orrin G. Hatch-Bob Goodlatte Music Modernization Act (HR 1551), named after Senator Hatch and the House of Representatives Judiciary Committee Chair Bob Goodlatte, who were instrumental in getting the legislation passed, has various components that will now become “the law of the land,” in the words of David Israelite, president & CEO of the National Music Publishers Association. – The Music Works Modernization Act, which improves compensation to songwriters and streamlines how their music is licensed, in particular by creating a new collective management organisation, the Mechanical Licensing Collective (MLC), to license and administer mechanical rights paid for by digital companies, which will now benefit from a blanket license for mechanical rights. 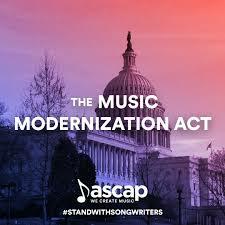 The bill also improves the rate standard by which songwriters’ mechanical rates are considered and makes improvements to the ASCAP and BMI consent decrees. – The CLASSICS Act, which provides a federal right for legacy artists who recorded music before 1972 to be paid royalties when their music is played on digital radio. – and The AMP Act, which introduces a right to remuneration for studio professionals — including record producers and engineers — for the use of music to which they have contributed. A summary by the industry Copyright Alliance is here. Now all stakeholders are moving into the next phase of implementation. Neither the AMP Act nor the CLASSICS Act are expected to be too difficult to bring to life. The CLASSICS Act was challenged by Sen. Ron Wyden, but a compromise with the recorded music industry brought a new amended version of the original text. Some parties, especially archivists and librarians, worried that the act would limit their ability to bring to life songs that were no longer commercially active but not yet in the public domain. Others such as advocacy group Public Knowledge argued that the legislation would push back the entry into public domain of many songs. The issues were addressed in that the Act creates a procedure that will enable individuals to engage in the non-commercial use of pre-1972 sound recordings that are not in the public domain and are not being commercially exploited. The Act also includes a rolling timeline for pre-72 sound recordings to enter the public domain. As a result, sound recordings would be receiving protection for a period of at least 95 years after fixation. But the key component of the MMA that stakeholders that will prove complex, if not contentious, to implement will be the new collective licensing organisation MLC, and the database that is attached to the project. As a result of the law, digital services will now benefit form a blanket license that will guarantee the use of the repertoire with the risk of liability for copyright infringement. Currently, Spotify is fighting a $1.6 billion infringement lawsuit from independent music publisher Wixen Music. The new law should put an end to litigation over mechanical royalties. The non-profit MLC will have a board consisting of 14 seats: four for major music publishers, six for independent music publishers, and four for self-published songwriters. For Dina Lapolt, songwriters “will have a say in the oversight of mechanical licensing for the first time ever.” Previously mechanical rights were licensed and administered directly by music publishers to digital services. One of the contentious issues about the MLC was how to deal with royalties from unmatched songs. By law, the MLC will hold unclaimed royalties for three years while it tracks down copyright claimant information. After three years the MLC will distribute the unclaimed royalties on a market-share basis, with songwriters entitled to receive at least 50% of the unmatched royalty fund. The MLC has the goal to create and maintain a comprehensive publicly accessible database of songs that will contain copyright data for all songs, match musical compositions with sound recordings, and track down missing copyright claimant information. Industry observers have been debating how the database will eventually come to fruiting considering that all efforts to set up such database have not been successful so far. Earlier this year, the USA’s two largest performance rights societies, ASCAP and BMI, have announced that they will be working together to build a single database of compositions. SoundExchange, which has a comprehensive database of sound recordings, also has access to a database of compositions through its Canadian mechanical rights subsidiary CMRRA, and could be a contender to supply and maintain the database. The scope of MLC has also been eroded by a compromised clinched this summer between songwriters and for profit performance rights society SESAC and its mechanical rights subsidiary Harry Fox Agency (HFA), both part of investment group Blackstone. Blackstone argued that HFA should continue to administer mechanical rights alongside MLC. Eventually, a compromised was reached early August, with all parties agreeing on a new version of the bill that included a provision to amend the MLC’s “administration of voluntary licenses outside the scope of the Section 115 compulsory license in order to ensure private vendors can continue to participate in the music market, maintaining competition which is beneficial to songwriters and producers.” How this will shape up still remains to be seen. According to the new law, the Register of Copyrights will designate the MLC. It is unclear yet how this will happen. Several organisations are in contention if there was an open tender to provide front and back office functions for the MLC: SoundExchange, which has experience in both recording and mechanical licensing; Canada’s performance rights society SOCAN could also be interested, especially as it also now administers mechanical rights through its new acquisition SODRAC; mechanical rights specialists Music Reports also have a comprehensive database and experience in dealing with mechanical rights; and SESAC’s HFA, which has been the mechanical rights agency for the past decades. Emmanuel Legrand may be reached at info@ip-watch.ch. "US Music Modernization Act Becomes “The Law Of The Land”; A Boost For Songwriter Compensation" by Intellectual Property Watch is licensed under a Creative Commons Attribution-NonCommercial-ShareAlike 4.0 International License.